OUT NOW! <a href="http://www.myfonts.com/fonts/sacha-rein/aldo-pro/">ALDO PRO</a> is available on <a href="http://www.myfonts.com/fonts/sacha-rein/aldo-pro/">MyFonts</a>;. Finally! 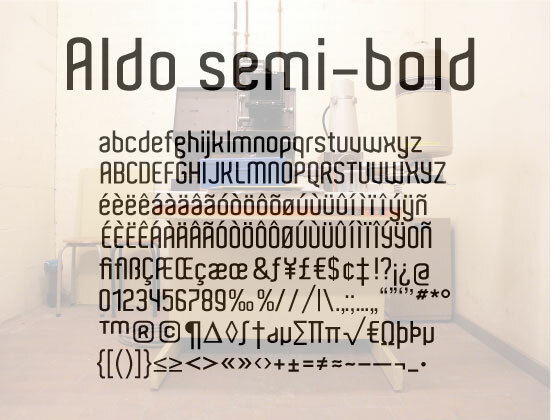 Aldo Pro has 8 weights and 690 glyphs. It has been a long wait. What do you think, was it worth it?